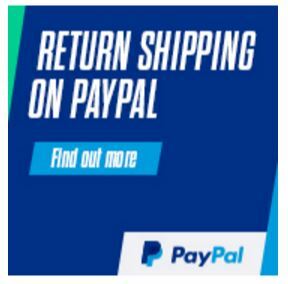 You save £15.00 that's 58% off! This is one of the brightest LED bulbs available in a standard bayonet fitting. 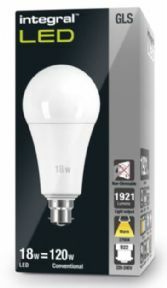 This product gives a super bright 1921 lumens of warm white light that is equivalent to 120 watts. If you a looking for a bulb for that room in your house that only has the one ceiling fitting but needs plenty of light, you will not be disappointed with this very bright (120W equivalent), GLS lamp from Integral LED. This frosted bulb will fill a room with warm light and using only 18W, offers big energy savings over equivalent incandescent bulbs .